County Board executive will meet later today to decide on their next step. 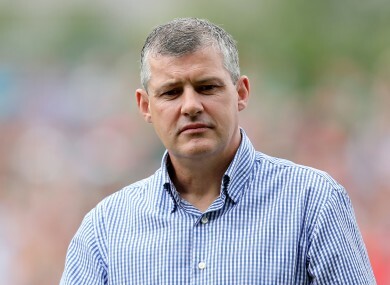 MAYO WILL CHOOSE either Kevin McStay or a joint team of Noel Connelly and Pat Holmes to be the county’s next senior football manager. Sunday Game pundit McStay, who led St Brigid’s Roscommon to the All-Ireland club title in 2012, was the early front-runner to take over from James Horan. But Connelly and Holmes emerged as serious contenders before close of nominations last night. The two managed Mayo to All-Ireland U21 success in 2006 while Holmes previously had a stint as senior manager from 2000 to 2002, winning a National Football League title. “The Executive of the Mayo G.A.A. County Board will meet later today to move the process of selecting a manager onto the next stage,” a statement said. Email “McStay and Connelly/Holmes nominated for Mayo senior football job”. Feedback on “McStay and Connelly/Holmes nominated for Mayo senior football job”.